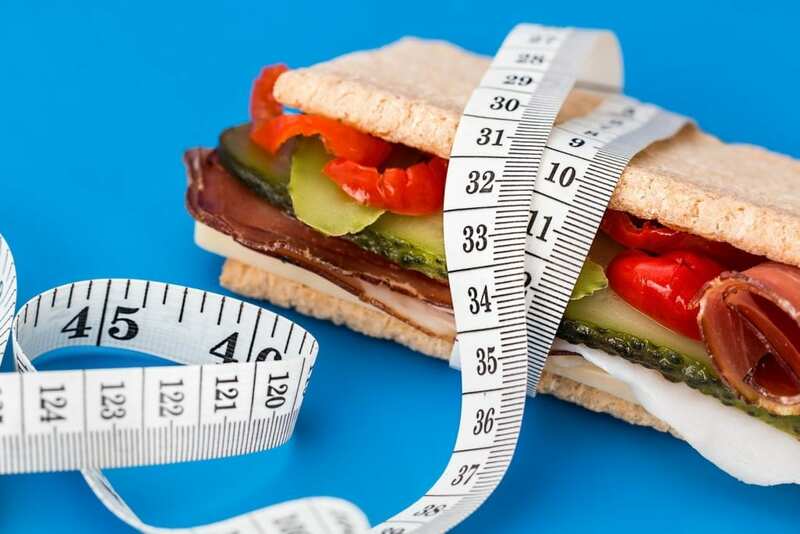 Counting calories has been one of the most controversial methods of dieting in the fitness industry for the last decade, with public opinion shifting between both extremes. For every trainer who tells you that it is dangerous and wrong there is another trainer who swears by it. So what are the benefits? Well as awesome as Dr John is, I feel that he might be missing the point here slightly. Most people don’t need to calorie count too accurately, because they don’t have specific enough goals for accuracy to be an issue. If you are trying to lower your body fat from 7% to 6% then being 100% accurate on your calories is probably going to be more important than if you are trying to drop a dress size in 6 months and are concerned about how many biscuits you are currently eating! What calorie counting offers is a way for your average Joe to discover where his current diet might be going wrong. If you are 20kg heavier than your doctor says you should be then your absorption rate isn’t going to be an issue for you. Some accountability and knowledge is what you need. People are less likely to eat high calorie snacks if they are logging them in to a calorie counting app that tells them that they are now 200+ calories over for the day. The argument here is not whether calorie counting always works, but whether it can work. And it absolutely does, I used to get my clients to fill out hand-written food diaries which was labour intensive and frequently left unfinished. When I started to use the calorie counting app MyFitnessPal instead I noticed that not only were clients more likely to persevere they were also learning more about calories and macronutrient ratios on their own. There is nothing better than having a client learn the benefits of doing something that you have recommended, because they will have more motivation to keep doing it. Who is calorie counting not for? Any client of mine who has had a history of disordered eating does not count calories, that is my policy and it has served me well over the years. For anyone who has had an unhealthy fixation on gaining/losing weight, this approach to dieting is just not for you. Having targets to hit will be stressful and in the past I have had clients who were aiming to hit the lowest calorie target possible, rather than hitting their actual target (naturally I immediately changed their strategy). If you have had or are worried you will have an unhealthy fixation on weight loss, I would recommend seeing a registered dietician or therapist. They can give you useful advice and help, more-so than any trainer like myself can! How do I start counting calories? Now you have your before measurements, you can proceed to the next step. You are going to have to download a calorie counting app for your phone or sign up to one on your computer. I use myfitnesspal.com but there are plenty of options and they all produce the same results. The benefits of myfitnesspal are that it is free, is really popular (which means it has a huge database of foods), and the app has the ability to scan barcodes so that you can get the calorie and macronutrient information immediately. Which will show you exactly how to use it. First thing I want you to do is to consistently log your daily calories for 2 weeks (4 weeks if you have the patience). Don’t worry about calorie targets or macro-nutrient ratios, just log in your calories every day until you have at least 14-28 days worth. Then I want you to write down the calorie totals for each day and put them in an excel spreadsheet. Add them all together and then divide by the number of days to get yourself an average. As with anything to do with statistics, the more data you have the better. If you have had a day where you went completely off the rails (like an extra 2,000 calories compared to normal), or you had a day where you were ill and only consumed a fraction of your normal diet you can count those as outliers and remove them from the database. This prevents your average from being affected. Either one of these websites will calculate your calorie target for you, but here’s the trick that will get you better results than 90% of calorie counters …..
You are not going to use their target! You are going to look at their target, and look at your own and work out a way to bring your target down to theirs. Now in some cases the target that you have been set may actually be higher than your current totals. If this is the case then either you have not been completely honest about what you’ve entered into your app. Or the added pressure of logging your calories has altered your diet (which is a good thing). If this has happened then I would recommend staying at your current calories for another 4 weeks and see what happens. If there has been an improvement then you are on the right track. If the measurements are the same or have slightly increased then lower the calories by 50 and continue for another fortnight. Depending on how seriously you want to take this, you should be measuring yourself pretty regularly and looking for changes. If you see small changes each week you are making good progress, if you see big changes then you are probably lowering your calories too much. If you aren’t seeing any changes then there could be a whole host of reasons. It is important that you understand that just lowering calories will not result in healthy and sustainable fat-loss. You need to be measuring your progress, exercising regularly and keeping your calories in check without becoming too restrictive.